Jovelyn Richards, host and of The Space Between Us, talks ageism, the myths of aging and how women from various cultures approach aging with Susan Avery Steward, PhD. Susan Avery Steward, a Professor of Psychology for over thirty years (now emerita), a retired therapist, and four times a grandmother, Susan Avery Stewart, PhD, is passionate about sharing the gifts of late life in a culture that mistakenly equates old age with debilitating decline. 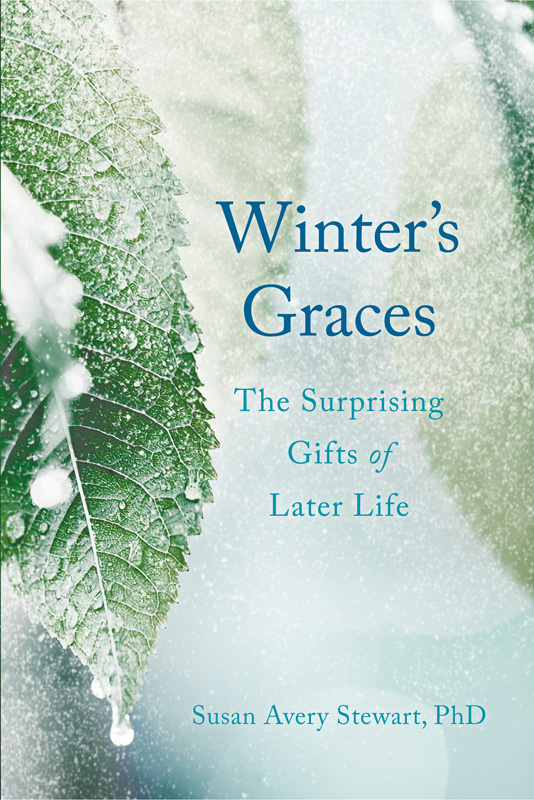 Her book, Winter’s Graces: The Surprising Gifts of Later Life, was published in October by She Writes Press (Berkeley). In its pages she weaves together folktales, current research in gerontology and other fields, themes from the world’s wisdom traditions, stories of her own and other older women’s experience, and characters from film that reflect the qualities that ripen in later life, such as contentment, agelessness, simplicity, and necessary fierceness.